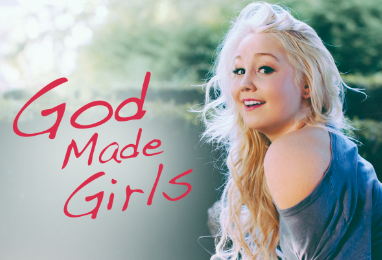 Here is the new single from RaeLynn. RaeLynn has some attitude about her. That was obvious when she was on The Voice a couple seasons ago. She’s still fighting for that first radio hit. Her first single reached the top 40 on the chart mostly because of streams and downloads. Now she’s looking to breakthrough with this second single. Give it a listen and see what you think. I like this song. When it comes to life there is no way it would be good without girls. That’s coming from a guy. I can’t say for sure if girls feel the same way about us, but for me at least it’s something I can relate to. I like the style of this one too. It’s more easy going and laid back. It can kind of slowly rock your head back and forth. There is still attitude in the song, which is great, but it’s more subtle. I like that. There is a confidence in the lyrics. You can tell that RaeLynn and the girls she wrote this song with are proud of who they are and they aren’t afraid to give the boys the business about it. That’s something I can sure respect. And the song is catchy too, which is important. You have to be able to get people singing along with you while you’re playing your songs. And this is one you can sing along with. What are your thoughts on this new single? Love it. Why it’s not being played anymore in Radios in Central Texas?